What’s going on guys? I’m Tom and welcome to another Stick Skillz Video Recap! 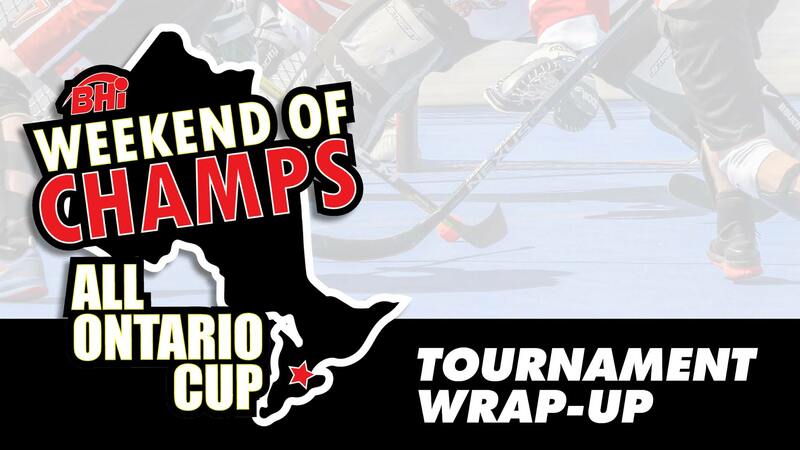 One of the last tournaments of the year is in the bag with the completion of the All Ontario Cup Weekend of Champs, and what a tournament it was! 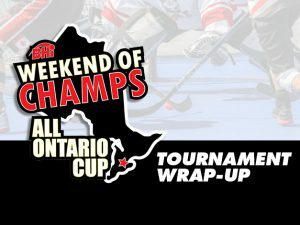 There was some stiff competition this weekend in Brantford, Ontario, with some big players in the Ontario ball hockey scene. 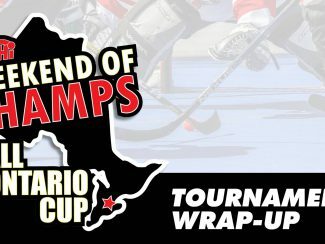 We wrote about what we were anticipating out of the biggest BHi Tournament of the year, and now we’re going to give you the full rundown of the Barn, Rec, and Intermediate Divisions. Let’s get started. 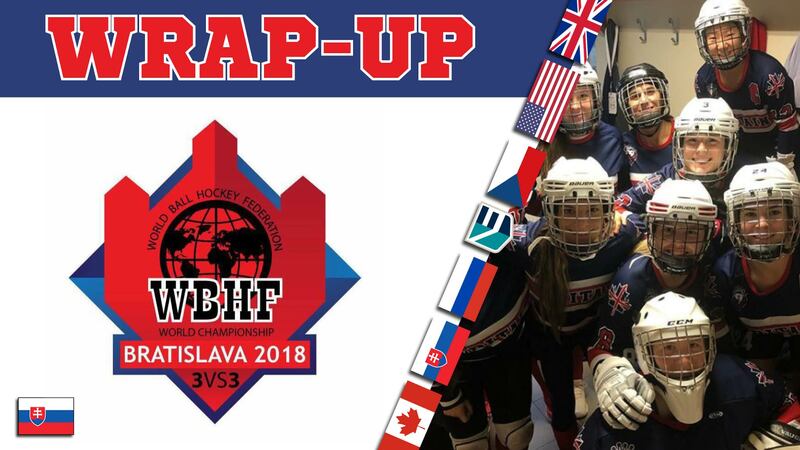 In the Barn division we knew the Hamilton Ducks were going to be bringing the heat this weekend after recently taking the Men’s D division at the World Outdoor Ball Hockey Championship, and they didn’t disappoint. After a weekend of spectacular play, they would move onto the A pool finals to face off against their greatest competition, the Vikings. The final game was hard fought and sat at a tie score of 1-1 well into overtime. Eventually, the Ducks were able to seize their moment, and took their shot, winning the championship with a score of 2-1. The B pool championship came down to the Flamingoes and BDB. There was quite a bit of back and forth in this game, and it looked like it might go into overtime as well, but BDB managed to score with a few seconds left in the game, giving them the win with a score of 4-3. The Rec division saw just four teams at this year’s Weekend of Champs, but that meant that each of them had to stay on their toes if they were hoping to stay alive. With the first two games ending in ties, it was anyone’s guess who would pull ahead, but Hamilton Haze eventually grabbed the bull by the horns and steered it where they wanted to go. They would eventually find themselves in the final game against Hamilton Lightning. This was an intense game. The Lightning took an early 2-1 lead and built on it by bringing it to 5-2 in the second. When the game seemed just about over, Hamilton Haze came back with three quick goals of their own to tie it up in the third. The game would move into overtime, but the Hamilton Haze completed their outstanding comeback with a final goal to win them the championship. Like we said in our tournament preview of the intermediate division, we had our eyes on the Gulls and the Reapers this weekend, but it was the Cowboys who really surprised us and put on quite the show. 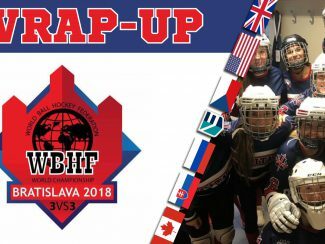 After a few ups and downs, they found their footing during their rematch against the Reapers in the semi-final game and dispatched them with a final score of 6-3. This moved them into the championship game where they’d face off against the Gulls. This game was a bit of a rough one, and the penalties were being doled out, but the Cowboys took the win with a shutout score of 2 nothing, winning them the championship rings in the Intermediate division. Congratulations to The Cowboys, Hamilton Haze, and the Hamilton Ducks, there were some close calls along the way, but you all managed to pull it out in the end. That’s going to do it for this Stick Skillz video recap! What did you think of this year’s Weekend of Champs? Did it go the way you thought it would? Let us know in the comments below. Don’t forget to stay tuned to stickskillz.com, follow us on Facebook, Instagram, Twitter, and YouTube so you don’t miss a moment of ball hockey action. Thanks guys, until next time!